Gum disease is an extremely common condition that most frequently starts as mildly inflamed gums that bleed slightly when teeth are brushed or flossed. If the condition is not diagnosed and treated promptly, it can deteriorate into periodontal disease, which is associated with an increased risk of heart disease and stroke. A recent study performed by Sweden’s Karolinska Institute reveals that gum disease may also be linked with breast cancer. This study, which appears in “Breast Cancer Research & Treatment,” involved more than 3,000 women who were between 30 and 40 years old. Those who had lost at least one tooth due to gum disease were more than two times as likely to develop breast cancer as those who had healthy gums. This risk existed even when all other factors were considered. Experts theorized that bacteria from the chronic gum infection were entering the bloodstream and triggering inflammation throughout the body, which increases the risk for cancer. However, while the mechanism linking breast cancer and gum disease is not yet known, periodontal disease has been linked to numerous health conditions, including Alzheimer’s disease, diabetes, miscarriage and preterm birth, respiratory disease, and other types of cancer. 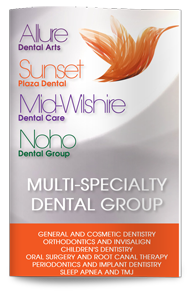 If you experience any symptoms of gum disease, such as inflamed, swollen, receding, or bleeding gums, contact our West Hollywood dentist today for a further evaluation, a dental exam and a professional dental cleaning. 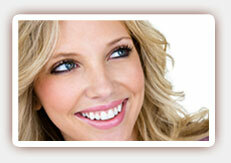 Diagnosis and periodontal treatments may be able to halt the spread of the disease and restore gum and dental health.